Dividing property in divorce, particularly benefits that have not vested, and thus, will not be directly payable until a later date, present severe challenges. Spouses seeking divorce are expected, and, in most cases, required, to equitably divide marital property, unless a premarital agreement says otherwise. Spouses can disagree over which assets and liabilities should be included in the marital pot, as well as whether it is better to sell and split the proceeds or retain possession of an asset for the benefit of one spouse. Retirement benefits, while earned by the services and efforts of one spouse, is considered a marital asset to the extent contributions were made and the value increased during the course of a marriage. Consequently, it is common for only a portion of a spouse’s retirement package to be subject to division in divorce. Public pensions, like those offered by police and fire departments, are more restrictive in terms of payout and their ability to be affected by the legal process. Thus, the other spouse may face disadvantages in property division if other options are not available. A discussion of the differences in division between private and public pensions, as well as how to address the restrictions that govern the division of public pensions, will follow below. Valuing retirement accounts will always be complicated in divorce because the value of the account is not fixed, and depending on whether the other spouse decides to defer payout until retirement age or take an immediate lump sum, the real value is hard to estimate. Regardless of this inherent limitation, the division of retirement accounts is a key aspect of achieving a fair and just division of marital assets. For private retirement accounts, such as an IRA or 401(k), the percentage earned during the marriage is calculated and usually divided in roughly equal proportion between the spouses, though deviations do occur if an equal division would be unfair. The other spouse collects the amount he/she is entitled to claim by filing a Qualified Domestic Relations Order (QDRO) with the retirement plan administrator. Without this document, any withdrawal before retirement would be deemed early and subject to penalties and taxation. Private retirement accounts are regulated by federal law and the terms of the plan. By contrast, public retirement plans, which are commonly pension-based, are governed by multiple layers of State and local law. Importantly, Florida law says that benefits paid from the Florida Retirement System are not subject to “assignment, execution, or attachment or to any legal process whatsoever.” What this provision means in divorce is that the other spouse will not have the ability to directly request division of monthly benefits through a court order or QDRO. Courts and parties must instead find more creative ways to account for this asset when dividing marital property. Just because a public pension cannot be directly divided in divorce does not mean the other spouse will have to relinquish this portion of the marital estate. 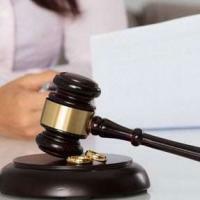 A number of options exist that allow the other spouse to collect his/her full share of marital property, and in the case of public pensions, some common strategies are to increase the amount of alimony payments or give the other spouse a greater share of the marital assets outside the pension. In addition, creating a trust to deposit future pension payments is an option, which can be then directed to pay the appropriate portion to the other spouse. Finally, if the spouse receiving benefits opts to defer collecting retirement benefits in favor of continuing to receive his/her regular salary, the other spouse will need to ensure his/her interest in the account is negotiated into the divorce settlement. Dividing property in divorce is one of the most pivotal and long-lasting decisions that you will face. The attorneys at the All Family Law Group, P.A. know what is at stake in divorce, and will work to get you the best possible outcome through dedication and creative legal representation. Contact the Tampa divorce attorneys and family lawyers at All Family Law Group, P.A. in Tampa Bay for a consultation at no charge. They can be reached at 813-672-1900.